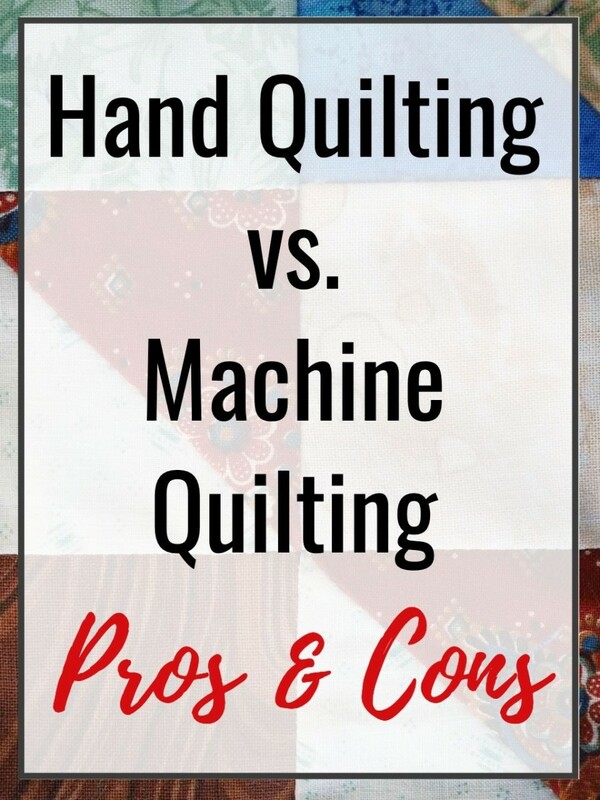 Well, hello again, my quilty friends! Glad to see that you're back for more. 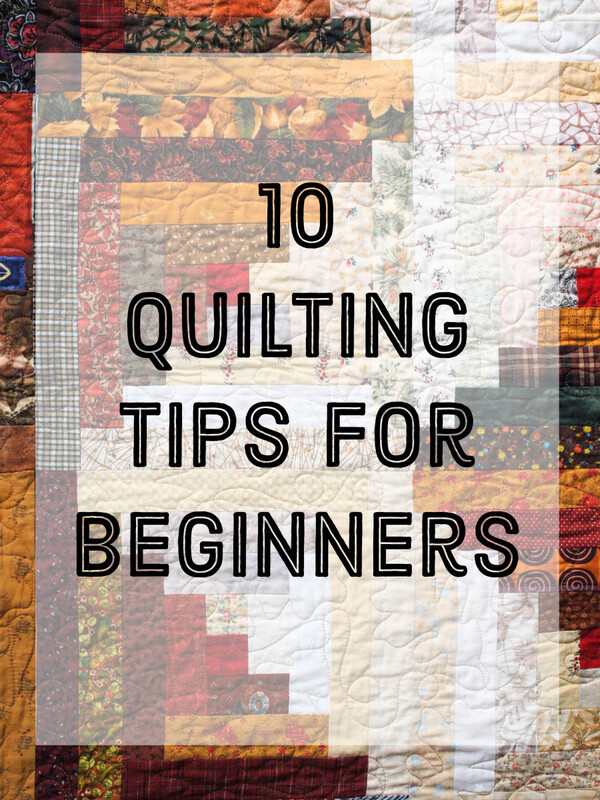 In my last page, "Nine-Patch Basics," I showed you a few fast techniques for making a classic nine-patch block, which is a true staple in the quilting stable. Now, I'll show you a few variations and simple ways to toss up this basic block to make it more interesting and a little bit more exciting. 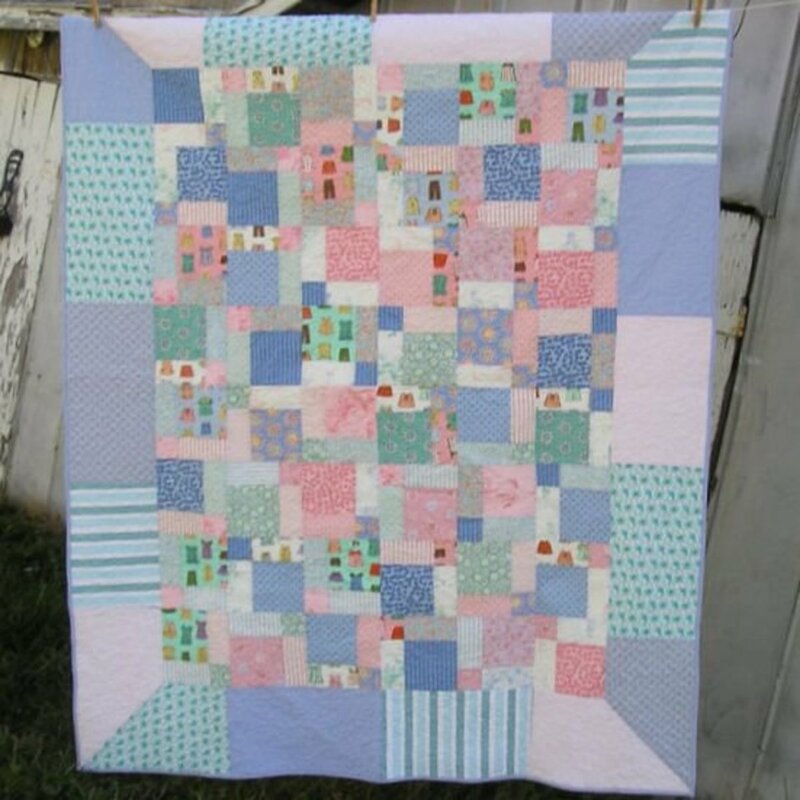 The main variation to this classic quilt block, and it's a good one, is the disappearing nine-patch. As the name implies, the parts of the block seem to disappear through a fantastic puzzle-like effect. So, if you're ready to get going and do something with your nine-patch blocks, I'll show you how. Ach! This is my absolute favorite ruler. It's hard to decide what's the best feature. The lip that securely wraps around the cutting mat for straighter cuts? The handy, dandy five-inch width? The convenient 1/4-inch lines and 1/8th inch hash marks or the angle lines? This is the only ruler you need. 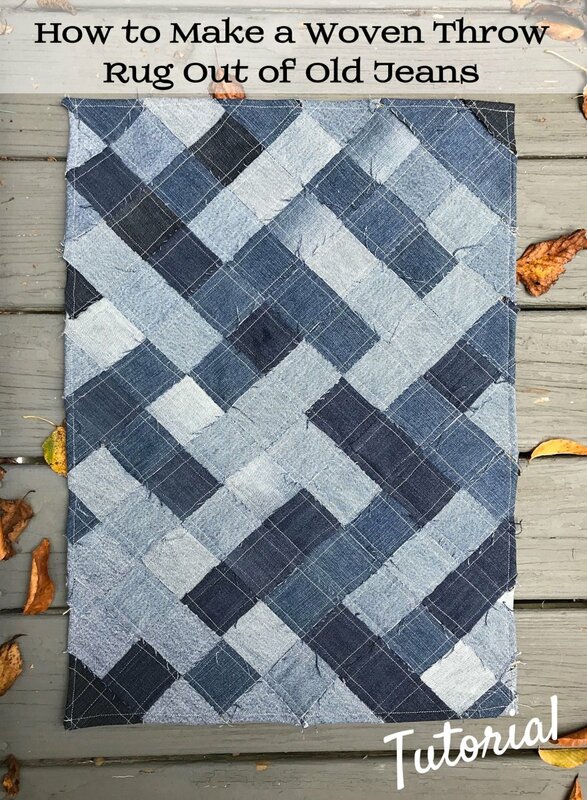 Here's My Disappearing Nine-Patch Quilt - This simple technique is guaranteed to have great results. 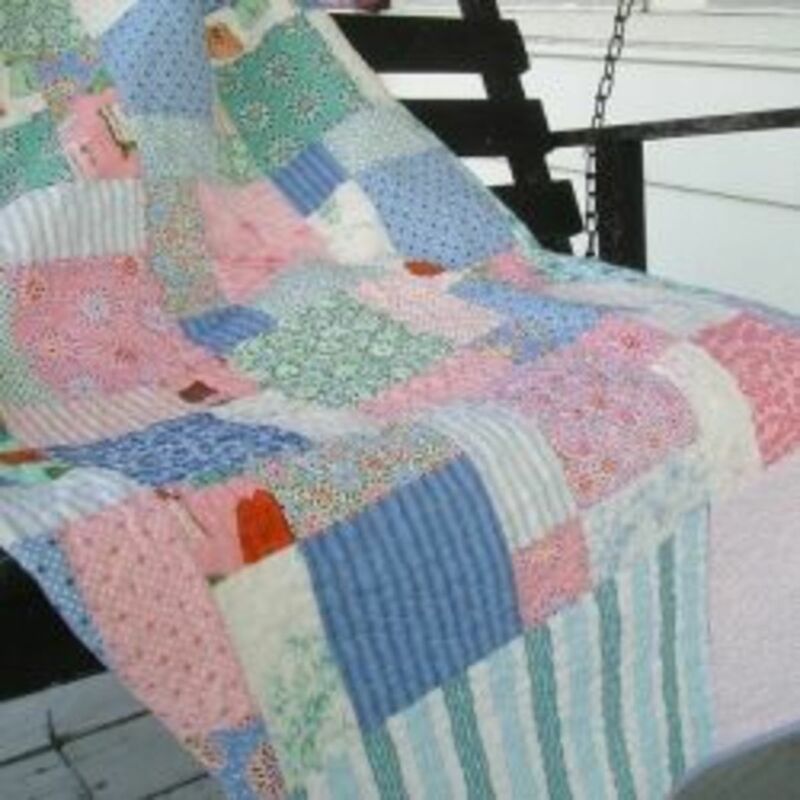 For this quilt, I used a fat quarter bundle to create a boat load of random disappearing nine-patch squares that are framed by mitered borders. Step 1: Bust out your cutting mat, rotary cutter and quilting ruler. 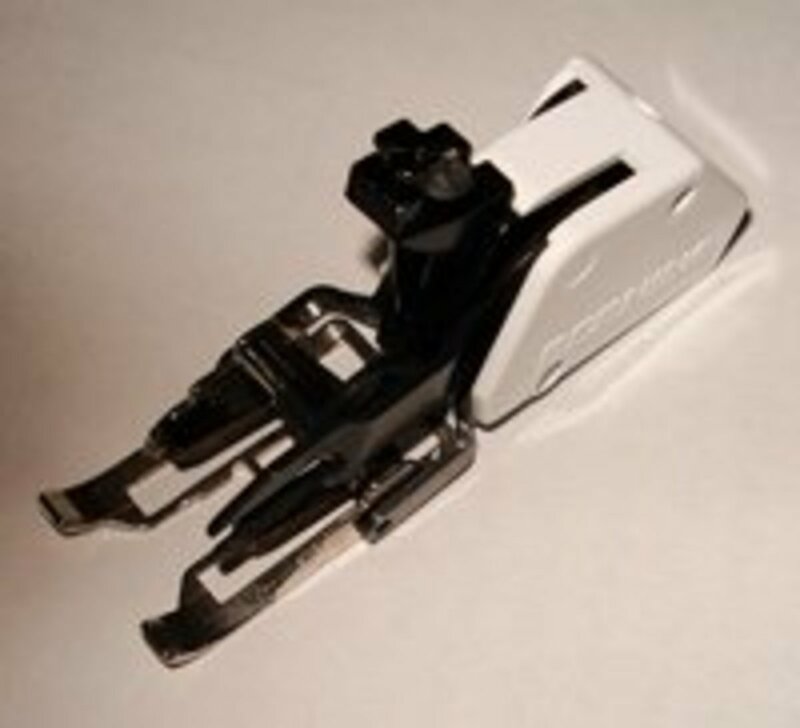 It's okay if you don't have these tools, but they do make life easier. If a rotary cutter and ruler aren't at your disposal, make a cardboard template, use a marking too and cut along your line with scissors. Step 2: Make the cut. 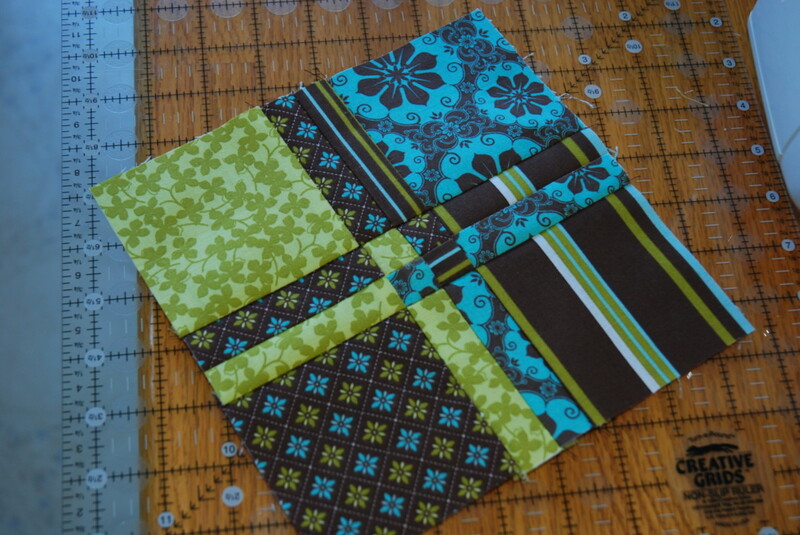 For this variation, each nine-patch block will be cut in quarters. One cut up and down will give you to halves. Then, each piece will be halved again to create four quarters. Step 3: Play with your pieces. This is the fun part because there are several variations and possibilities, depending on where the small squares from the former center block end up. Step 4: Once you've found the arrangement that you like, it's time to sew your pieces back together. If you're making a disappearing nine-patch quilt, you'll have a lot of block, so you can simply join each quartered piece to create rows. If you want to make one block, join the first two units, then the bottom two. Finally, join your two halves together to create one finished block. Lovely! The four-patch block, which I haven't talked about yet, is another candidate for this "disappearing" technique. 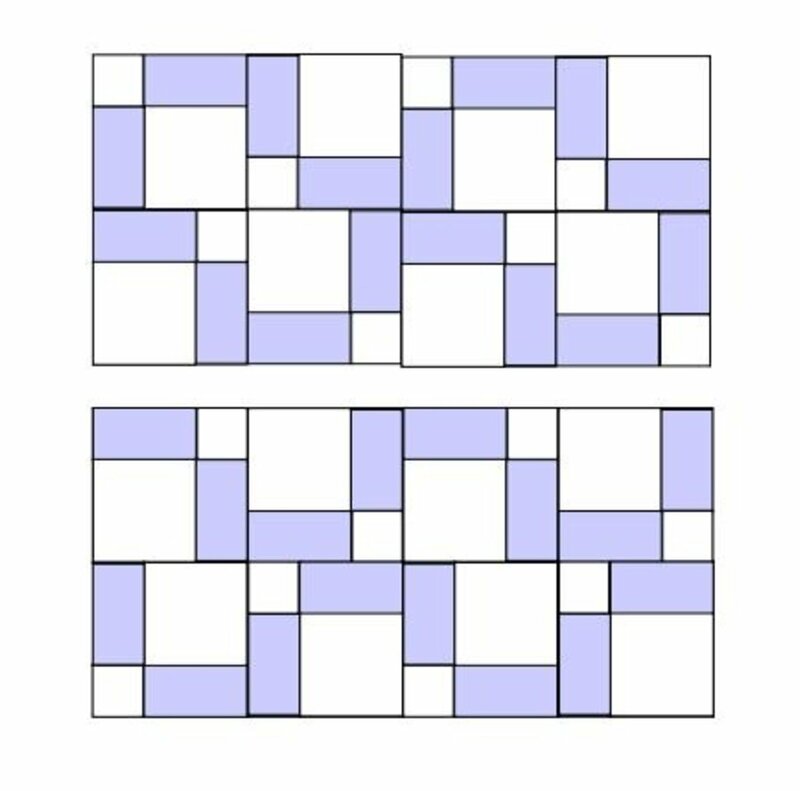 The four-patch is like a simple checkerboard grid with four squares arranged dark-light over light-dark. The disappearing four-patch is so charming. It reminds me of little presents topped with bows. So, here's what you need to do to create these clever blocks. Step 1: Make two parallel cuts up and down. Step 2: Next, make two more parallel cuts side to side. This will give you three bi-color strips. One long one that was cut first and two smaller ones that were cut second. Step 3: Then, take the long strip, and make two more cuts to create a small four-patch square that equals the width of your strips. You'll rotate the square and flip all of the longer strips, so that the color of each block alternates as shown. Tip! 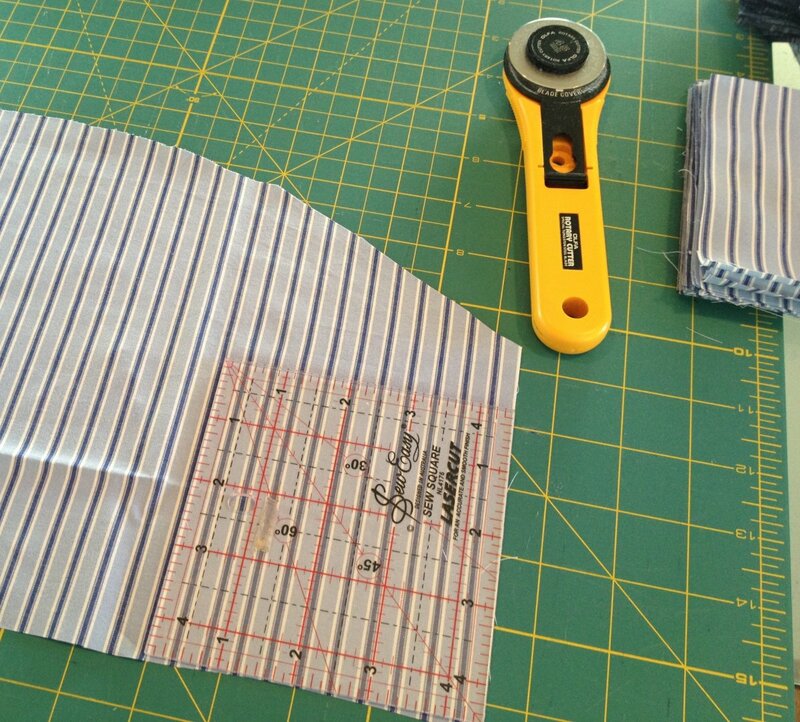 How narrow or wide you make the strips is up to you, just remember that you'll lose 1/2 of an inch in width once the two quarter-inch seams are sewn. Step 4: Once again, here comes the fun part, you get to arrange all of your little pieces. What you need to do is reverse the color arrangement of your pieces, so the strips provide alternating colors and contrast. 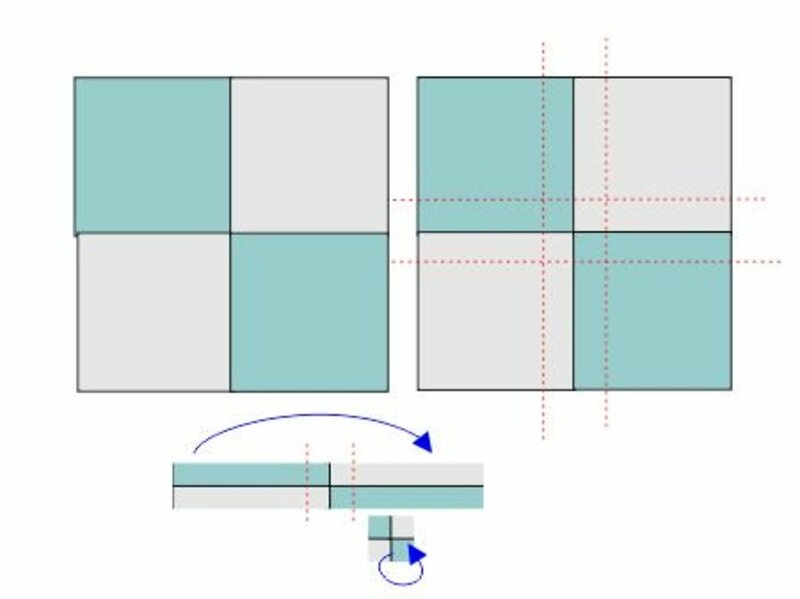 Finally, the mini four-patch block in the center will be rotated to contrast each of its neighbors. Step 5: Assemble all nine pieces. The top row will have one large block, one strip and a second large block. 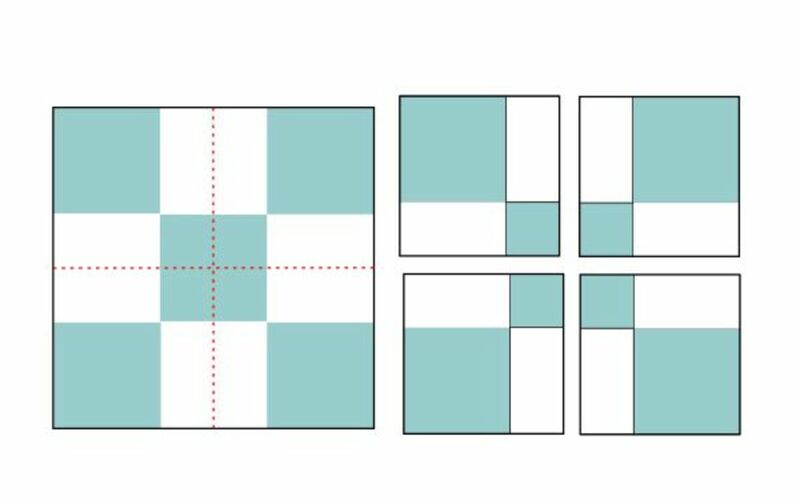 The middle row will have the mini four-patch sandwiched between two strips, and the bottom row will repeat the arrangement of the top row. Step 6: Once you have your three rows assembled, you'll join them all together and voila! It's a finished disappearing four-patch. 1. Start with 5-inch blocks. These are a standard size and super easy to work with. 2. Always use 1/4 inch seam allowance for quilts. Measure your finished seam just to make sure. If you can't find an exact 1/4 inch seam, just be consistent. 3. 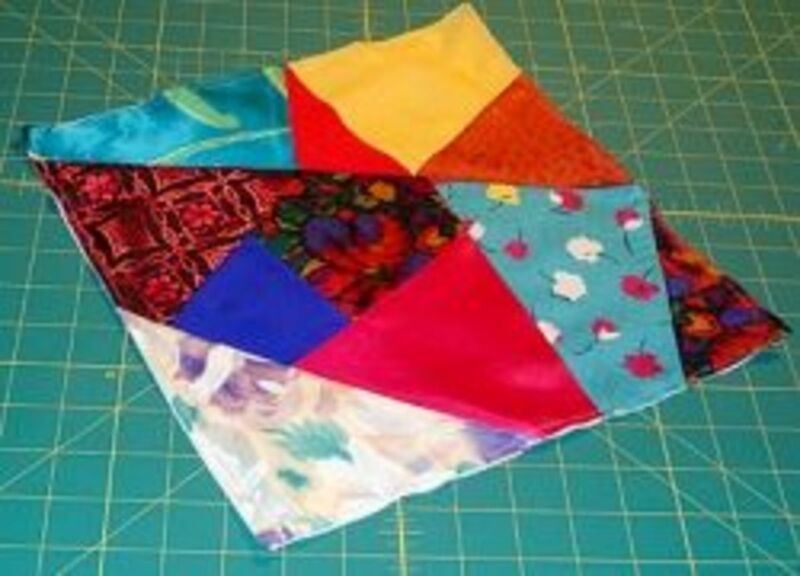 There's no need to back tack your seams when piecing quilt blocks. 4. 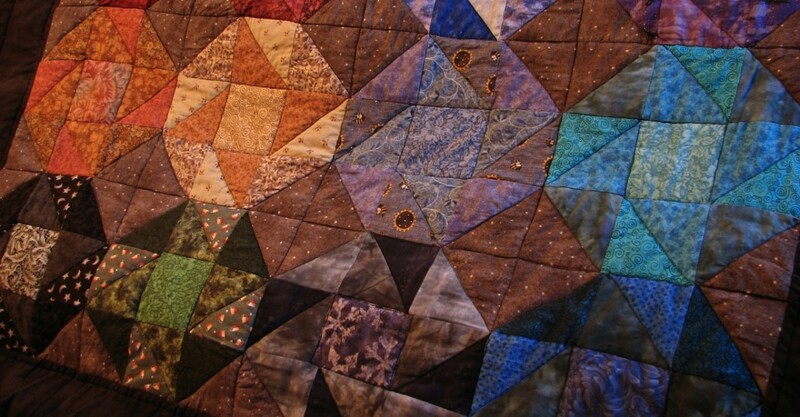 Press your seam allowances toward the darker block, and interlock seams. One seam will go left and the other row's will go right. When you block is complete, open all seams and press. Feel free to share your tips, finished projects and struggles right here! I'll be happy to answer any questions if you have them. Have you tried these techniques? - What's your favorite? Did you love the result?